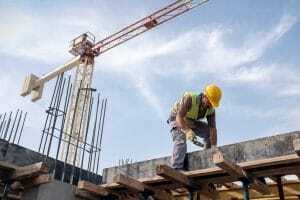 The North Carolina Department of Labor (DOL) reports that 48 workers were killed last year at job sites under the agency’s purview. A story in the News Observer reports that the workers ranges in age from 17 to 73, all but four were men and all were classified as laborers. A terrible North Carolina workplace fatality occurred in Eden, North Carolina on Monday November 11, 2018 at the MillerCoors industrial site. William A. Villatoro of Bayshore, New York, a construction worker who had been working to deconstruct portions of the vacant building, “was killed when the cutting saw he was using to remove the metal ‘kicked back, striking him in the torso/neck area,’ according to the sheriff’s office,” as reported by the Charlotte Observer. A story on Greensboro.com, reports that Villatoro was one of several construction workers using heavy equipment and hand-powered tools to remove steel and other materials inside the warehouse. Sherriff Sam Page said that he had been using a circular hand saw. Malfunctioning tools is just one of the hazards for workers in the construction industry. The Occupational Safety and Health Administration (OSHA) reports that construction accidents account for about one-fifth of all workplace fatalities in the U.S. each year. When a construction worker’s tools malfunction, it can cause injuries and, in this case, death. Employees who are injured on the job in North Carolina can file a workers’ compensation claim, which pays a partial wage-replacement benefit, covers medical expenses related to the accident and provides vocational rehabilitation and other services. Workers’ compensation also pays the family the family a death benefit when their loved one is killed in a workplace accident. In addition to workers’ compensation, an injured worker may be able to file a personal injury lawsuit for a workplace injury if the injury was caused by a third-party. If the injury was caused by a defective tool, or premises liability on someone other than their employer’s property, the injured worker might pursue compensation from the manufacturer of the defective tool or equipment for from the negligent property owner. In the workplace fatality at the former MillerCoors plant, the North Carolina Department of Labor’s Occupational Safety and Health Department is investigating the deadly incident to see if any safety standards were violated. OSHA will also be investigating the workers’ death, according to the Charlotte Observer. OSHA refers to what many others call workplace accidents as incidents. Investigating an incident where a worker is injured allows employers and employees to identify possible hazards and the shortcomings of their safety and health operations, and it allows workers and employers to identify and take the corrective actions necessary to prevent the same type of incident in the future. The goal of a workplace incident investigation, according to OSHA, is to identify and correct the root cause, rather than finding fault and placing blame. Investigations can improve workplace morale and increase productivity by demonstrating the employer’s commitment to providing a safe and healthful place to work. An investigation can also address root causes to reveal why an incident occurred, develop effective corrective actions and eliminate serious consequences from a similar incident in the future. If you were injured or if you lost a loved one in a workplace accident, we are here to serve you. Warren & Kallianos, PLLC is based in Charlotte, but our attorneys represent clients throughout North Carolina. You may schedule a free consultation with an experienced workers’ compensation attorney by calling 704-275-5593 or filling out our contact form.